Rent is expensive in Amsterdam, that’s a given. There are ways of enhancing your success in finding a house though. 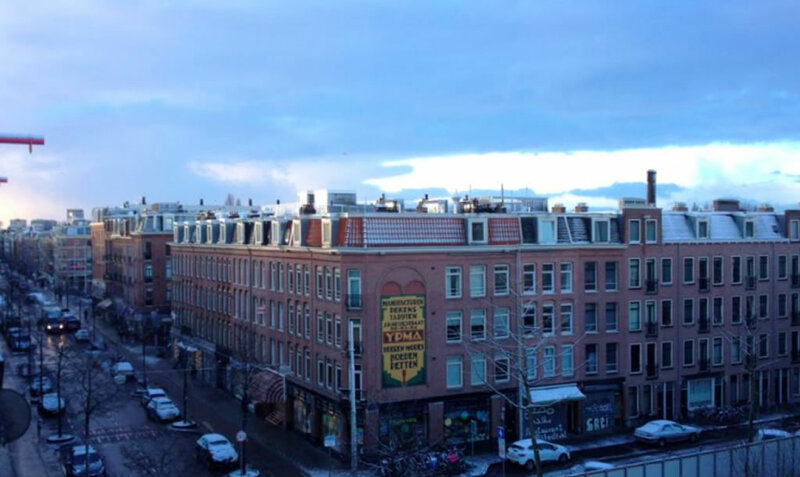 Our latest discovery: you have less competition in Amsterdam when looking for a rental in the winter. Dutch people are not big fans of moving during the winter (holidays). It makes sense, loading and unloading trucks full of furniture in the winter is extra annoying when it is freezing and wet outside. You’ll leave mud stains in the hallway and your friends are less likely to help you with the move. Besides, everyone is busy shopping for Christmas gifts. Those prepared to move in the winter months have a bigger chance of getting that great rental, simply because less people respond to the available properties. So cover the hallway in plastic sheets, put on your snow-boots, fill your thermos with hot chocolate and get your move on. Also interesting is that in the Netherlands we prefer moving in spring, especially in May. With a beer in our hand, wearing little more than a t-shirt, pulling our stuff up with a rope, it has something idyllic about it. The pictures we respond to when looking for a house are beautiful this time of year, which lets our fantasies go wild thinking about barbecues on our new balcony. Good to know, if you’re tempted to move in spring-time. Moreover, may is a great time to move for families with children as it is just before the summer holidays and in time for the new school year. RentSlam checks for new rentals every couple of minutes on all mayor housing sites. As soon as there is a match with your criteria, we send you an email. This means you can respond the second a new rental comes online. This save you a lot of time and increases your chances.